Welcome to our practice, an office dedicated to the specialty of endodontics (root canals) and implant dentistry. 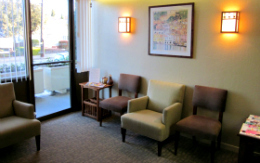 Located in San Leandro, California, our top priority is to provide you the highest quality endodontic care in an environment free of anxiety and filled with comfort. We are committed to helping our patients attain optimum dental health. We recognize that every patient has different needs, and we pride ourselves in the courteous service we deliver to each person who walks through our doors. thorough, and predictable root canal treatment. Our patients continually say, "Great job! That didn't hurt at all." Our advanced experience and highly equipped office allow us to deliver quality and comfortable root canal treatment in a pleasant environment. We will take great care of your endodontic needs, and communicate the details of your treatment to your dentist. 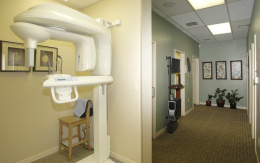 Our office utilizes advanced technology to make your root canal a comfortable and efficient experience. We are one of the first endodontic offices in the Bay Area to utilize advanced three dimensional imaging in the form of the Cone Beam CT. This modern tool assists us in diagnosis and treatment of your tooth. We want you to be informed about modern endodontic treatment. Our website contains detailed descriptions of root canal treatment, root canal surgery, cracked teeth, traumatic injuries, and related pieces of literature. 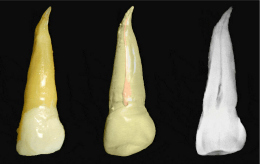 We can even show you three dimensional renderings of teeth from our 3D Tooth Atlas developed by our own Dr. Herbranson.